More and more manufacturers are offering cloud-centered products and systems that explode the member experience—providing a wealth of customized workouts, tracking and reporting on performance in detail, and allowing users to compete with one another. Among the many IHRSA associate member companies that have soared into the sky are Precor, Inc., with its Preva Network, and Technogym, with the mywellness cloud. The approach confers numerous advantages. It engages the interest of prospects and members; precludes workout boredom; increases satisfaction and utilization; improves results; can increase members’ spending; and, ultimately, has a positive effect on retention. The Preva Network, available on units in Precor’s 880 cardio line with the P80 console, permits members to create personal accounts, which allow them to set fitness goals, obtain personalized workouts, track their progress, save their favorite routines, and explore a wealth of entertainment options. Because the system is cloud-based, it can be accessed via the Preva mobile app. 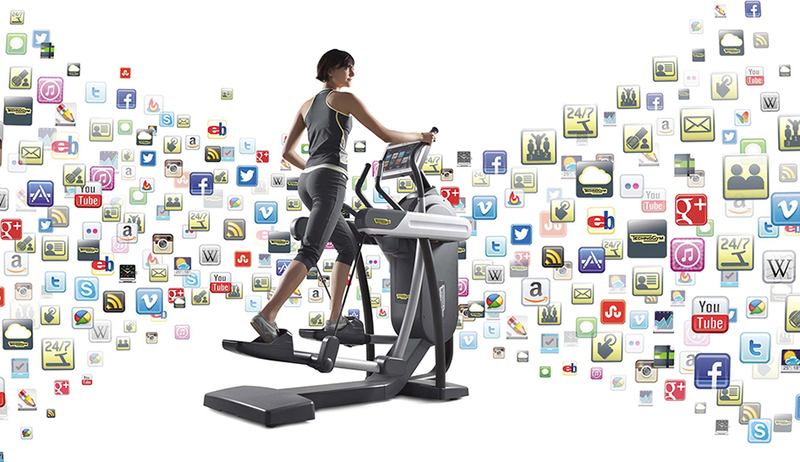 Technogym’s mywellness cloud shares some of the same functionality, and also connects to a wide variety of third-party fitness devices, including wearables, which allows users to store virtually all of their exercise data, and makes it possible for clubs to offer virtual coaching tips. Because the mywellness cloud is an open platform, it also allows for integration with various cloud-based services and devices. That can be utilized to tap new revenue streams, said Nicola De Cesare, the director of Technogym’s digital division business development team. One example: a club could monetize a professional weight and body fat scale by offering periodic body checks. The resulting information could be stored in the mywellness cloud, allowing members to track their progress toward their goals. Jeff Bartee, the principal product manager for network fitness at Precor, sees the connections between equipment and apps multiplying in the future, and, in the process, tying the exercise experience together in a revolutionary way. The possibilities are endless and appealing. “Customers want the best experience, and, in the end, the clubs that are going to be the most successful are the ones that integrate thoughtful digital strategies with the brick and mortar,” Bryan O’Rourke, president of the Fitness Industry Technology Council (FIT-C). “Today, your digital presence is as critical as your brick and mortar presence. If you don’t believe it, you may have a big problem.